The storm system that brought snow to northern parts of the Midwest is coming to an end. It is just about snowing itself out. We had a couple areas of lake effect and lake enhancement. The arrowhead of Minnesota saw up to 6". There were a few band off southern Lake Michigan which brought a few inches to may areas there. And finally, we are seeing some feeder bands near Green Bay which is added to totals this evening. 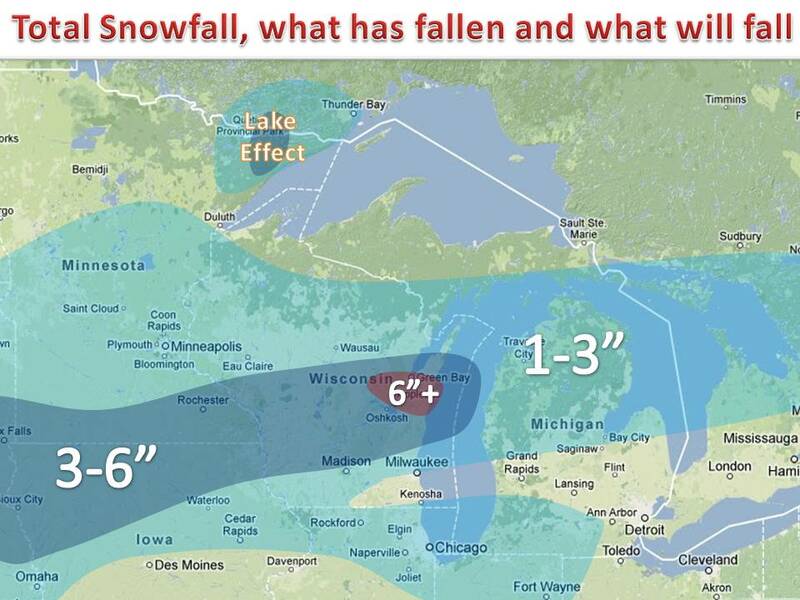 From Green Bay to Oshkosh to Sheboygan in Wisconsin, totals will generally be in the 6-8" range.